The Texas Capitol, June 2015. 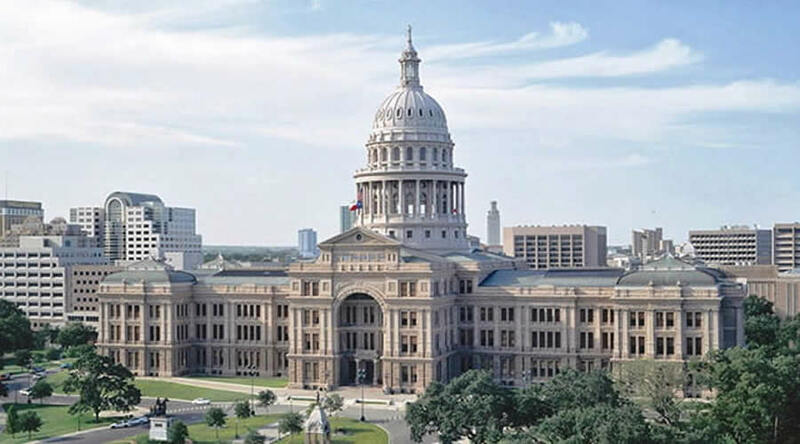 The Texas Capitol is taller than the United States Capitol. 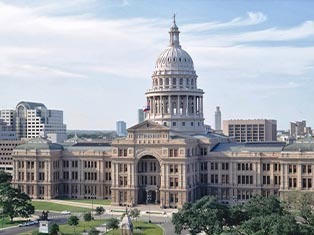 The Texas Capitol does stand 14.64 feet taller than the nation's Capitol in Washington D.C. The U.S. Capitol measures 288 feet from the east front ground level to the top of the Statue of Freedom, while the Texas Capitol stands 302.64 feet from the south front ground level to the tip of the star of the Goddess of Liberty. 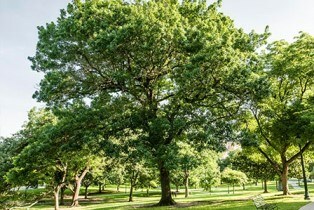 A tree on the southeast Grounds, June 2015. 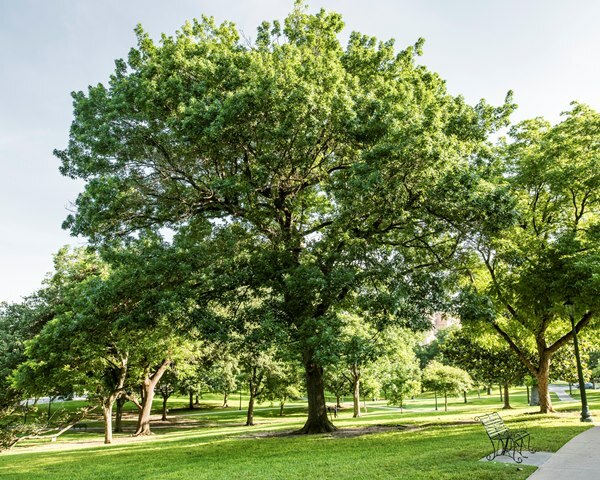 There is Confederate gold buried under the oldest tree on the Capitol Grounds. No historical documentation exists that substantiates this often-told legend. 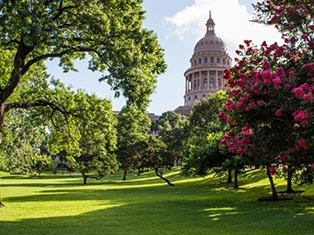 In addition, the Capitol Grounds Restoration graded, excavated and restored the acreage around the Capitol during the 1990s. No gold or other treasure turned up during this extensive work. Crack located on the star in the Texas seal, February 2013. The crack in the Rotunda floor was caused by someone falling. This popular legend of the Capitol is not true. Tragically Ed Wheeler fell approximately 160 feet to his death while painting the inside of the Rotunda on December 13, 1922. Texans did not install the terrazzo floor currently in the Rotunda until 1936 to commemorate the Texas Centennial. 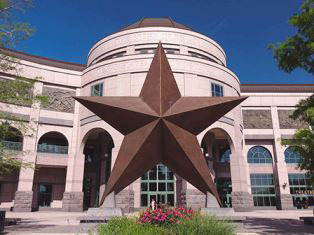 The crack in the star of the Texas seal occurred due to the building settling. 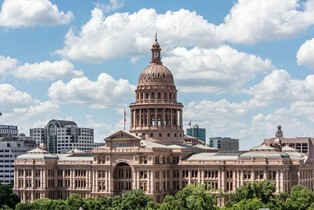 Aerial photograph of the Capitol Complex, 2011. 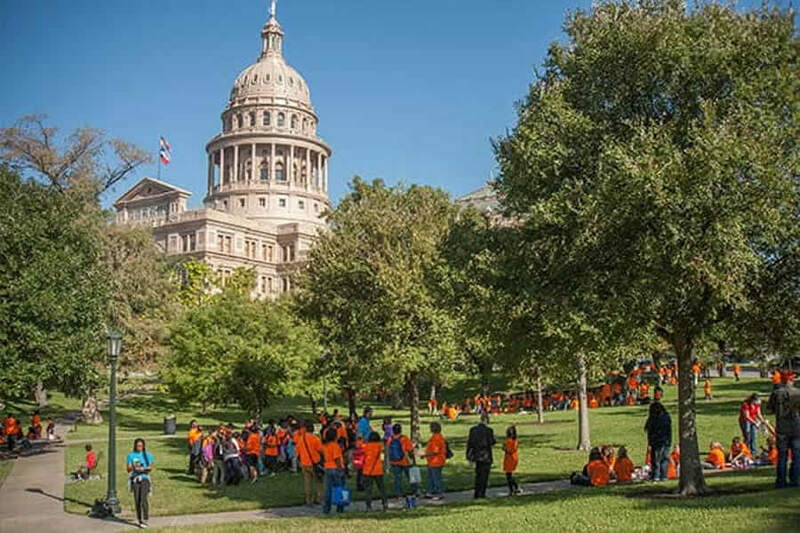 Texas does not own the land on which the Capitol stands. Texas has actually paid for the land three times. 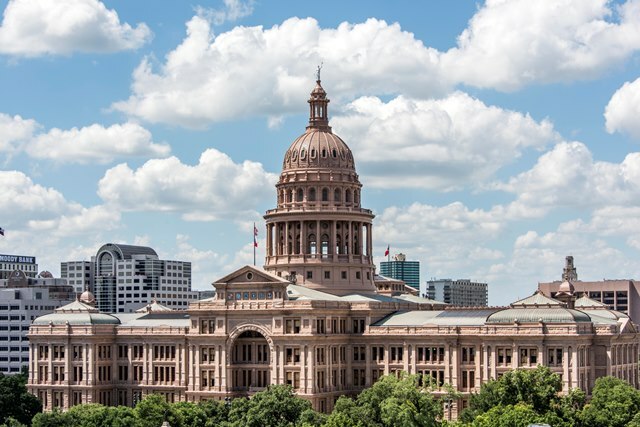 The Republic of Texas initially purchased the site in 1839 from two men who appeared to have legal title. In 1874, E.M. Smith provided evidence he had purchased a rightful deed for the land from the only surviving member of a pioneer family who perished in an Indian raid. Texas paid Stella McGregor and Kate Sturgis $20,000 in 1926 after they proved their family had a legitimate and earlier land claim. 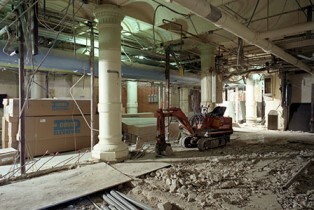 Work on the Ground Floor during the Capitol Restoration, c. 1993. There are cannonballs in the walls of the Texas Capitol. 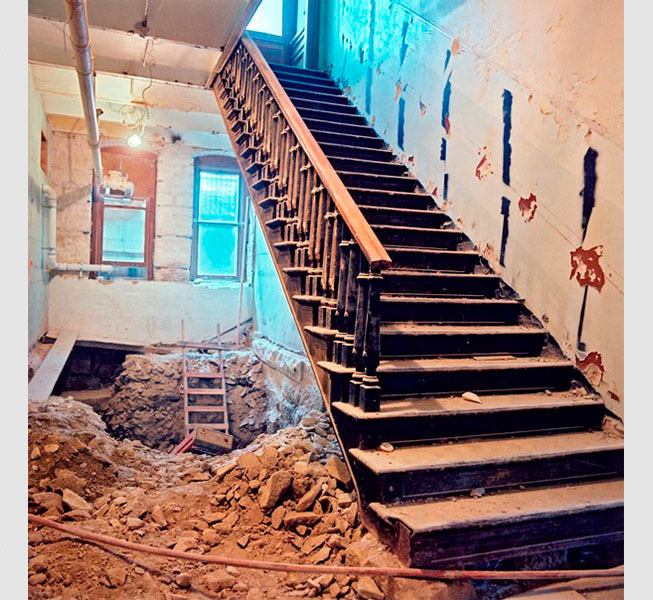 This myth probably grew from a misinterpretation of the building plans. Workers used lime mortar to bond the stones in the walls, with metal anchors used at some exterior locations to bond ornamental granite stones to the base wall. A notation in the Appendix to the Memorandum of Agreement, Exhibit F from October 20, 1884 stated: "…five eighth inch round iron shall be substituted for one inch by one quarter flat iron for the anchors in the exterior walls," which was referring to the anchors. The log Capitol stood at the northeast corner of Colorado and 8th street. 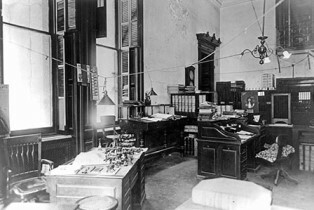 Image courtesy Texas State Library and Archives Commission, Austin, 0001/103-34. Someone is buried on the Capitol Grounds. This legend arose from the fact there have been multiple statehouses in Austin. 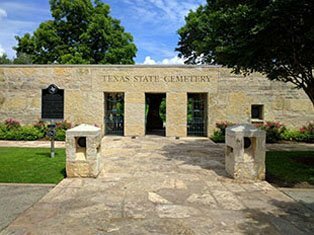 In June 2000, descendants of John Ballantyne contacted the State Preservation Board regarding the burial of their ancestor. The family had documentation saying he was buried: "…near the river…on the Capitol Grounds." 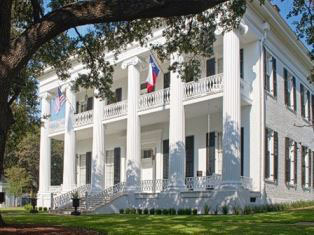 Ballantyne died in October 1846 when Texas still used the log Capitol not near the vicinity of the current Capitol Grounds. It appears that he received a burial at the log Capitol that stood closer to the Colorado River. 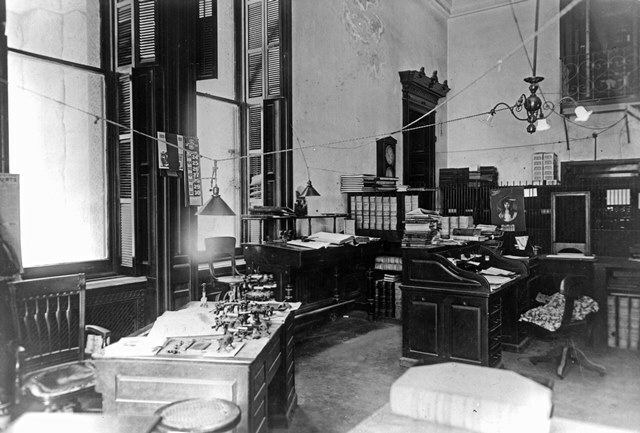 One of the north wing offices in the Comptroller's Suite, c. 1910. 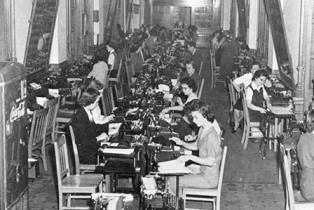 Image courtesy The Sherman Museum. A state official was killed in the Capitol. On June 30, 1903, State Comptroller Robert. M. Love died from gunshot wounds inflicted by former employee William Hill. Love had greeted Hill and invited him into his office. Hill gave a letter to Love and then shot him twice in the chest. Chief bookkeeper J.W. Stephens chased down the fleeing assailant. A struggle took place and Hill was accidentally shot and died later that day. 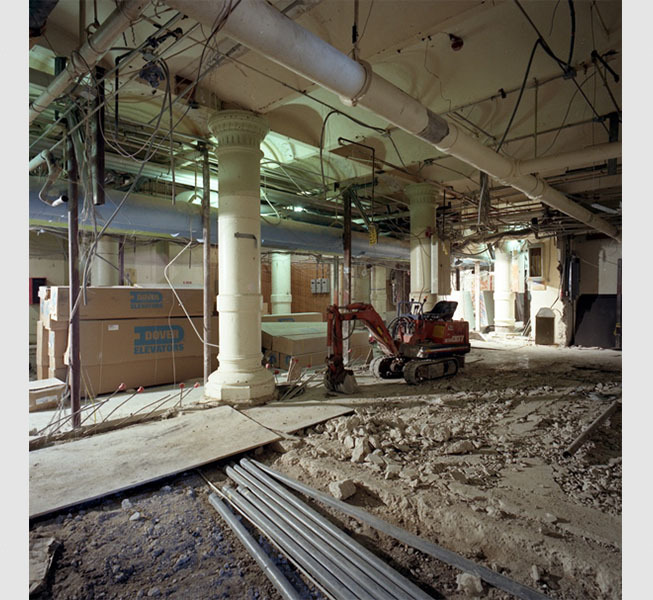 Tunneling near staircase during the Capitol Restoration, c. 1993. There are secret tunnels leaving the Capitol. 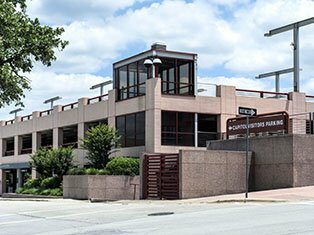 A myth states that there are secret tunnels for people and horses that extend from the Capitol all the way to Lady Bird Lake. Although tunnels did exist, they were not secret or meant for escape but rather installed for utilities. 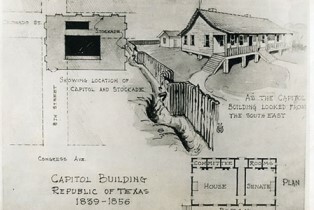 The Capitol originally included a small sewer tunnel that was designed to drain to the river. However, it was later altered to drain into an existing sewer line. The plans for the building also describe a 5-foot high by 3-foot wide tunnel connecting the Capitol to the powerhouse to the northeast of the building. This tunnel was filled with steam and electrical lines, much like the modern tunnels that still serve the Capitol today. 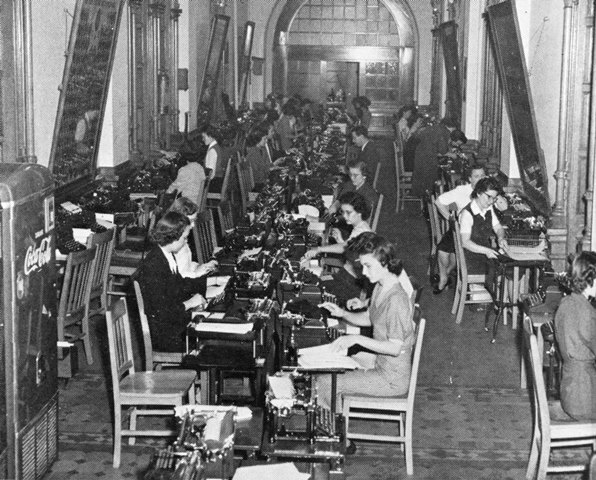 Women working in the House of Representatives typing room, "Texas Parade Magazine," February 1951. 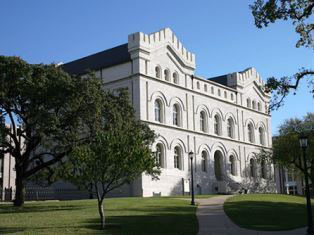 Image courtesy Texas State Library and Archives Commission, 1990/093-9. The Capitol received its first women's restroom in 1966. 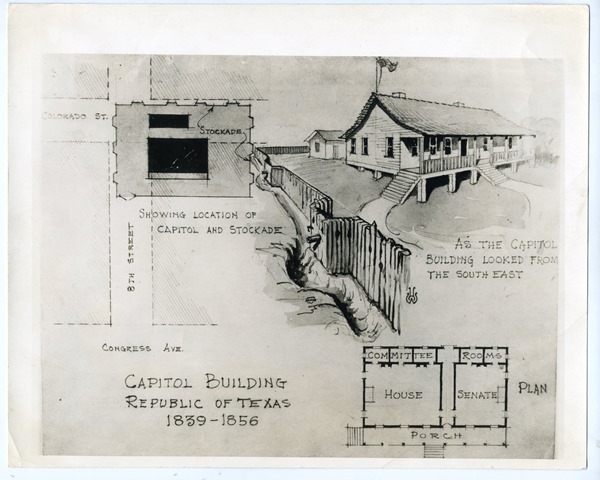 When the Capitol opened in 1888, a restroom for women was in place. 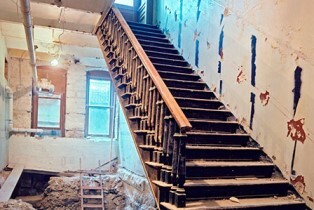 The drawings of architect Elijah Myers show a "Ladies Retiring Room" on the third floor next to several water closets. This myth likely arose due to the fact that there were fewer women's restrooms with several men's restrooms having no adjacent one for women.